The Transit Center's outdated design includes nooks and cranies for unsavory behavior. 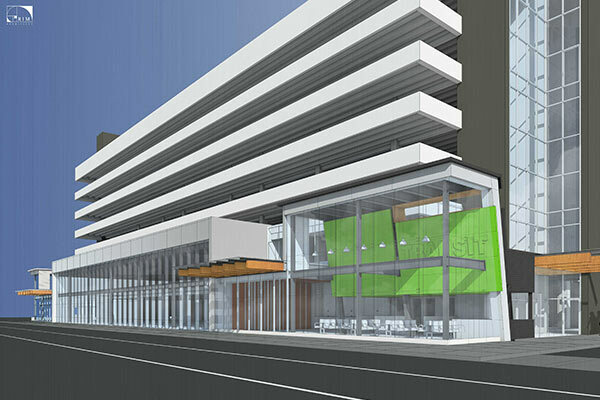 We plan to "shut and gut" this building, allowing us to develop the most modern retail space in Downtown since 1985. This effort will also allow us to secure the space with strategically placed security. The new design will also allow People Mover to have full control over their lobby. Once we have an updated layout that discourages loitering and updated security coverage, we feel that this will be an even more attractive and very functional asset to Downtown. **Effective December 1st, 2018: As renovations begin on the Transit Center, a significant portion of the building will be closed for construction until further notice. Please look for new directional signage, as entrances and exits will be modified to accommodate the construction. 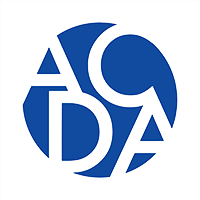 If you have further questions please call ACDA at 907-276-7275. 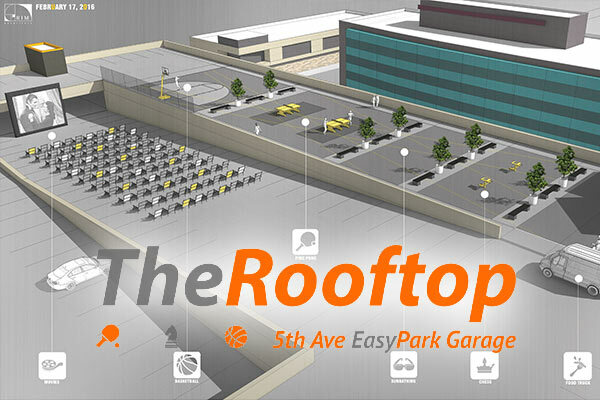 We are really excited to offer use of our space on the EasyPark garage at 5th Ave. and B Street! There is concrete table tennis and chess, as well as half-court basketball, a year-round skate rink and benches open for anyone to use! Make sure to follow The Rooftop on Facebook to keep tabs on what is happening! Food trucks have had a tough time in Anchorage in the past few years. 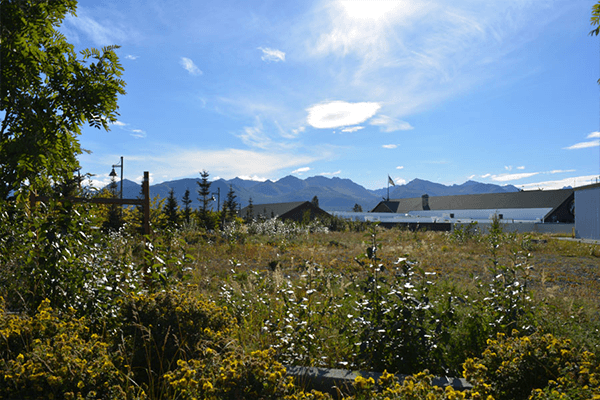 After losing their ability to operate on the corner of Fireweed and A Street, the once-a-week Spenard Food Truck Carnival was their only regular home. We reached out to these folks to see if they would be interested in making use of a few of our vacant lots waiting long-term for development. Their answer was an emphatic "YES!" Over the summer, you'll find a number of food vendors on the corner of 8th Ave. and K Street, from 11am - 3pm. Follow K Street Eats on Facebook to keep an eye on the latest! 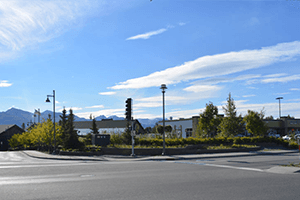 This property is located at the gateway to the Glenn Square shopping center in northeast Anchorage. The traffic arteries that surround this plot see between 63,000 and 78,000 vehicles per day combined. With its position as a corner lot and exposure to a significant amount of traffic, this lot offers developers great value. The Glenn Square shopping center features multiple restaurants, Bed Bath and Beyond, Petco, Bass Pro Shops and more. Immediately south of this lot is a strip mall with a Subway restaurant, a brewery, Coast Guard recruiters and more. 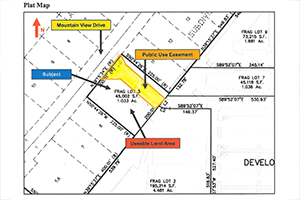 There are a few used car lots across Mountain View Drive, and new, medium density housing units just north of this site on Mountain View Drive (not yet depicted in the map above). 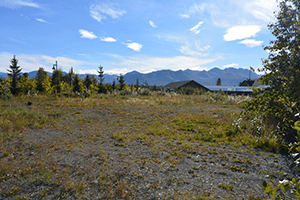 Size: The usable portion of this lot measures approximately 25,300 square feet (.58 acres) on the southerly portion of the site.